Cracks in the walls of your foundation can occur for several reasons. It is important to understand the reason for your foundation wall crack so that the proper waterproofing solution or repair can be implemented. The size of the crack is also an inportant indicator as well as the location and shape. 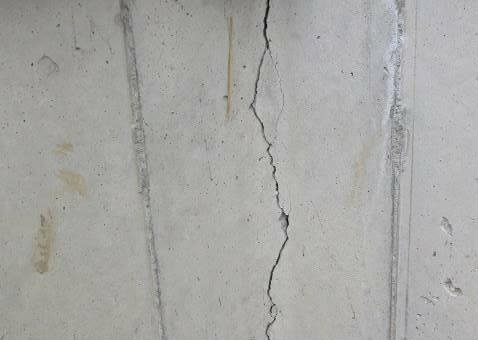 An experienced contractor should be called in to inspect the wall crack and make other site observations. Depending on these additional observations the reason for the foundation problem can be determined. Soil Saturation: Soil absorbs water. Over time this water will saturate the soil and this causes your homes foundation to settle and shift. Even if this shifting is minor it can cause wall cracks in the foundation. In addition to saturation of the soil the opposite also occurs. If the soil becomes dry, an expanded reaction occurs and this will also cause the foundation to move. Gas and/or Sewer Lines: This is an issue that is often overlooked. Sometimes the installation of gas or sewer lines can create stress points in the foundation wall. Although not as common, the trained waterproofing experts at Repel Restoration are prepared to locate this problem if it exists in your home. Regardless of reason, foundation wall cracks should be inspected to rule out any major foundation issues. 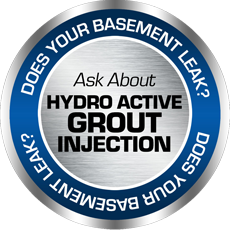 In most circumstances they can be resolved with our Hydro Active Grout Injection service. 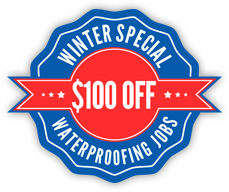 Call today to arrange a free inspection.